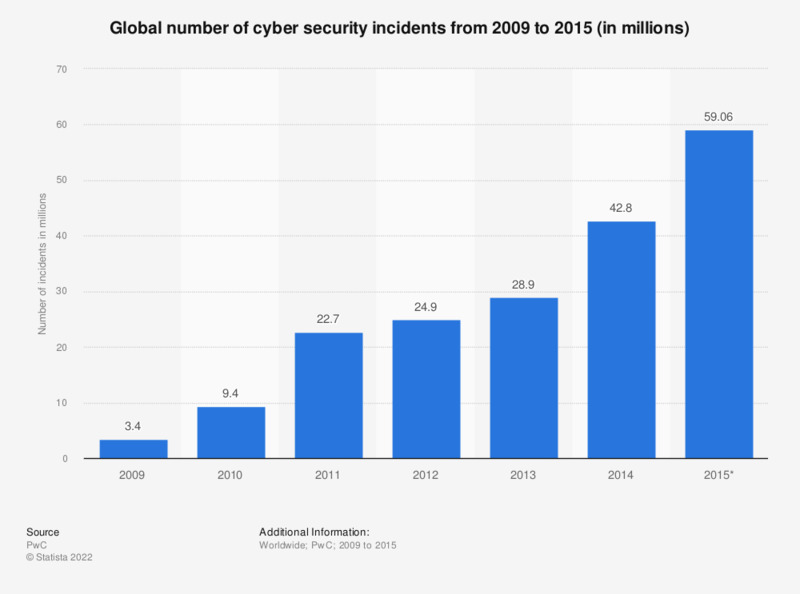 This statistic presents the global number of cyber security incidents from 2009 to 2015. In 2014, companies detected and reported 42.8 million IT security breaches. This number increased by 38 percent in the following year. Figures represent only detected and reported incidents. *"In 2015, 38% more security incidents were detected than in 2014." Everything On "Cybersecurity in Italy" in One Document: Edited and Divided into Handy Chapters. Including Detailed References. Statistics on "Cybersecurity in Italy"